The Premier League is pleased to announce that TAG Heuer will become its first Official Time Keeper and Watch partner, in an agreement that covers the three seasons from 2016/17 to 2018/19. The new partnership was announced on Tuesday 26 April, 2016 at simultaneous events held in Hong Kong and London. 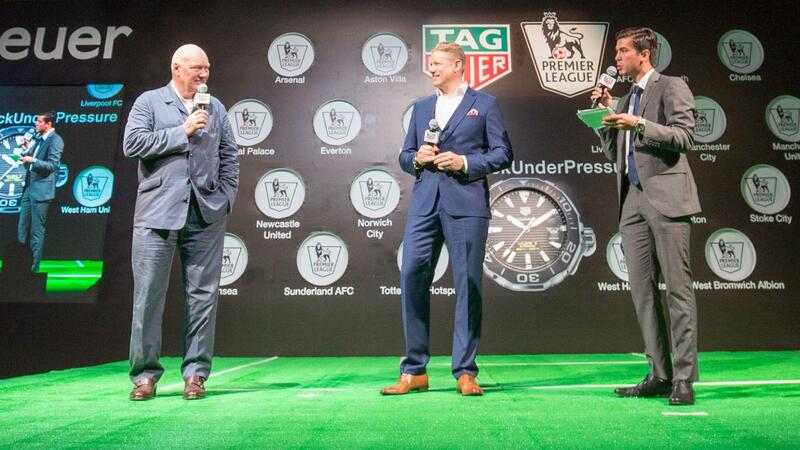 In Hong Kong, Jean Claude Biver, chief executive officer of TAG Heuer, was joined by Premier League legend Peter Schmeichel to announce the new partnership at an event attended by media from across Asia. "Our partnership with the Premier League seals the important and strong involvement in football of TAG Heuer," Biver said. "We are particularly proud and pleased about this partnership, as it will be key in the promotion of our brand and its football activities in Asia and in the whole world." Rob Diver, managing director of TAG Heuer UK, joined Richard Masters, Managing Director of the Premier League, and Claudio Ranieri, the Leicester City manager, announced the partnership to the UK media in London. "We are very excited about this new partnership with TAG Heuer who will become the Premier League’s first official Time Keeper and Watch partner," Masters said. "TAG Heuer has a fantastic track record of investing in sport which makes it an excellent fit for the Premier League. As the Premier League’s first Official Time Keeper and Watch Partner, TAG Heuer will have on-screen presence during global broadcasts of PL matches and the fourth official’s LED substitute/added time board will be shaped and branded as a TAG Heuer Carrera chronograph watch. TAG Heuer is also working with PGMOL, the organisation that manages professional referees who officiate in the Premier League, to design a new TAG Heuer Connected smartwatch, which will meet their timing and training needs. This watch is being developed by TAG Heuer in conjunction with Intel and Google Android Wear.